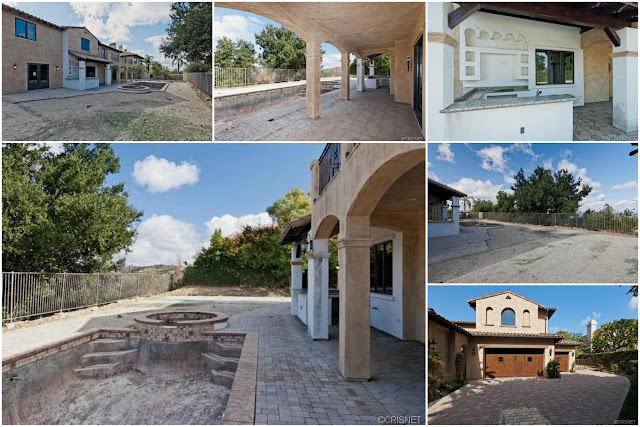 [Update March 7, 2016]: Eazy-E's original playhouse home in Calabasas hit the market on March 6, 2016 for $2,550,000 which can be read here. Back on October 1, 2012, TMZ (article has been removed) reported that late rapper Eazy-E's (Eric Wright) mansion in Calabasas known as "Eazy's Playhouse" was foreclosed on May 11, 2012. According to TMZ, the mansion "was famous back in the early 90's for all-night parties and an open door policy for entourage members and hoards of women." At the time I read the article, something didnt add up with this Calabasas home supposedly being the infamous party house which I will discuss shortly. To possibly support this claim, TMZ has even retracted the article from their site but some of it can be read on Calabasas Patch. Sensational Mediterranean Estate on a cul-de-sac at the Ridge! Built in 2005 with impeccable craftsmanship and materials. Formal entry with mosaic floors leads to living room area. Great room with grand staircase and fireplace leads to family room, kitchen and breakfast area. 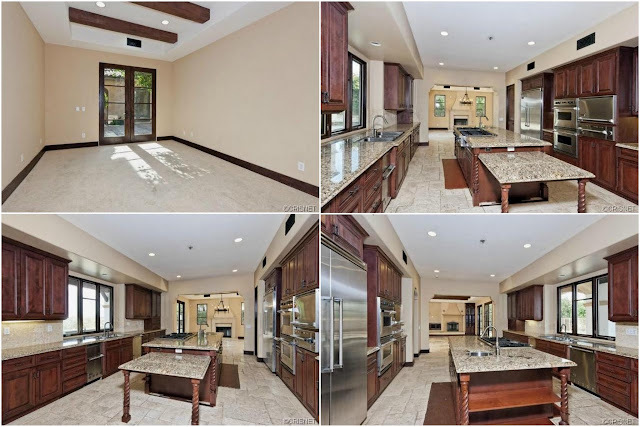 Sun filled chef?s kitchen with granite counter tops, Viking appliances and pantries. Family room with built-ins and fireplace with French doors opens to backyard. Kitchen also overlooks breakfast area with its own fireplace and second staircase leading upstairs. Downstairs bedroom with its own full bathroom can be used as maids quarters, guest room or office. Attached three car garage with direct access. Upstairs features loft area/family room with built-in cabinets. Master suite with fireplace, sitting area and balcony that overlooks the backyard. Master bathroom with his/her walk-in closets, jet tub and dressing area. Great backyard with pool, spa, BBQ area and sweeping Valley & mountain views. So this is where things get interesting. This home was built in 2005 and Eazy-E passed away at the age of 31 on March 26, 1995. So how could this home have been "Eazy's Playhouse" if there was no home to begin with? I reviewed aerial images from Google Earth (shown below with 'A' marker) back in May 1994 which clearly shows open land and no home. The only factual item about this item with respect to Eazy-E is that his wife, Tomica Woods Wright, purchased this home for $3,099,000 on September 22, 2005 near the peak of the market. Tomica Woods Wright inherited Ruthless Records from Eazy-E and continues to manage the business. The property records show that the land was also purchased by Tomica Woods Wright on January 9, 2004 for $980,000 but that may not be correct because she clearly purchased in 2005. Sometime in 2011, I guess due to financial complications, Tomica Woods Wright stopped making mortgage payments and was foreclosed on May 11, 2012 for $2,277,653. The home was later listed on the market on October 19, 2012 for $1.8 million and was sold for $2,067,000 on November 27, 2012. John Larroquette's (actor) short sale in Sherman Oaks. 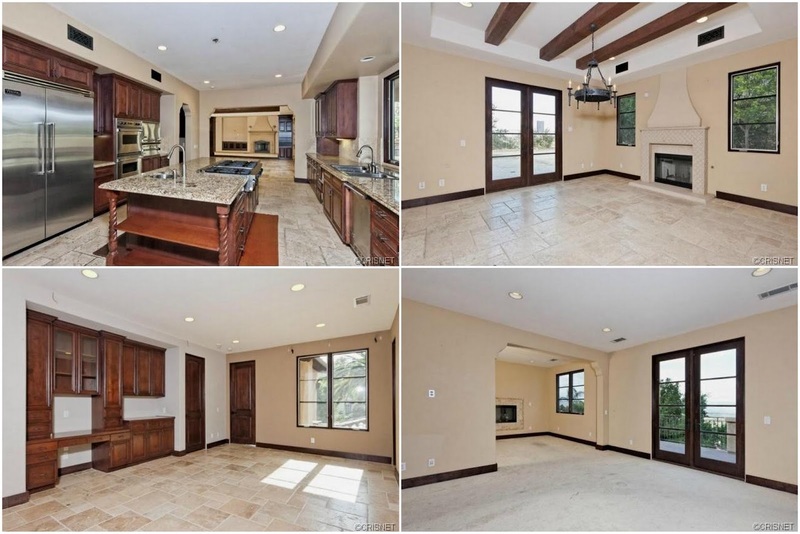 Bryon Russells' (basketball) foreclosure in Calabasas. Kristen Bell's (actress) Studio City foreclosure. Richard Fortus' (GNR music) short sale in Woodland Hills. Morris Chestnut's (actor) short sale in Hidden Hills. 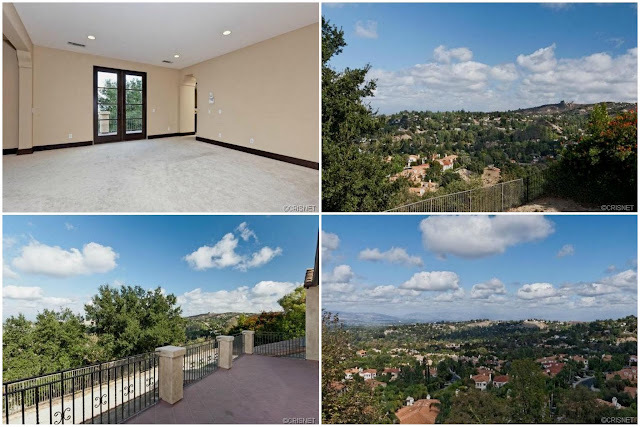 Eric Davis' (baseball) short sale in Calabasas. Kristoff St. John's (actor) short sale in Canoga Park. So where is the infamous "Eazy's Playhouse"? Well I am not entirely sure but a review of property records and internet searches leads to two distinct addresses linking Eazy-E to Calabasas. The first link is a Calabasas home in the gated community of Mountain View Estates that is owned by Gerald E. "Jerry" Heller who hooked up with Eazy-E and formed Ruthless Records which was 80% owned by Eazy-E and 20% owned by Heller. Heller claimed that he invested the first $250,000 and eventually put up close to $1,000,000 into the company. In addition to working with Eazy-E, Heller managed NWA which included Dr. Dre, Ice Cube, DJ Yella, MC Ren, and Arabian Prince. Prior to meeting Eazy-E, Heller managed War, Average White Band, Marvin Gaye, Creedence Clearwater Revival, Van Morrison, and Otis Redding. Heller purchased his home (see image below) on February 26, 1991 for $1,120,000 which measures 5 Beds/6 Baths on 5,700 sqft built in 1990. 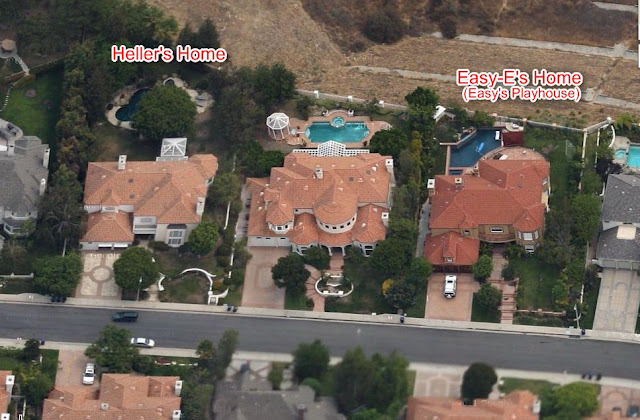 Although Eazy-E's name appears on this home's address, I doubt that Heller allowed his personal residence to become "Eazy's Playhouse" regardless of how close these guys were which leads to the second address. The other home linking Eazy-E to Calabasas is actually in the same gated community as Heller and is literally two houses down. Not only were Eazy-E and Heller business partners and close friends but they were also neighbors. Not sure if this was a coincidence or they really enjoyed each other's company. 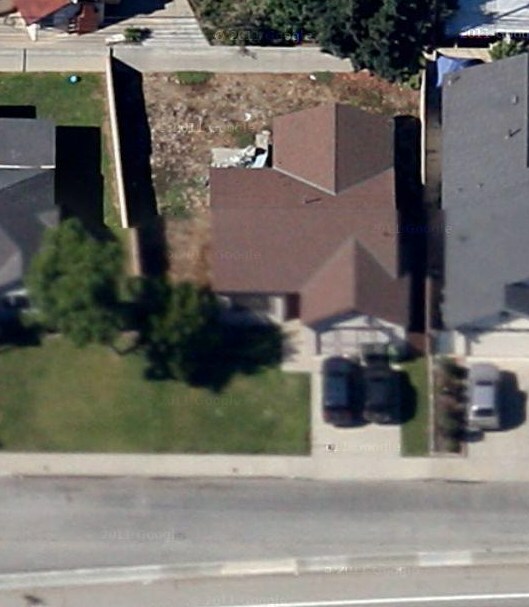 So I have a strong suspicion that this home was actually the infamous "Eazy's Playhouse." 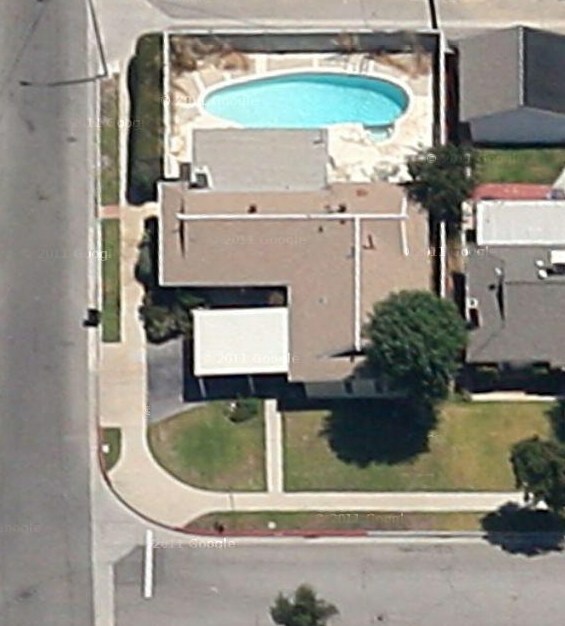 (Note: this location proclaiming as Eazy's Playhouse is based on the little evidence I gathered on the internet and property records and its possible that this location is not the actual party house. If anyone has any supporting or refuting evidence, please share in order to correctly mark this location). Eazy-E purchased this home on January 8, 1991 for $1,175,000 which measures 5 beds/6 Baths on 5,770 sqft. Another surprising twist in this story is that nine months after Eazy-E's death, the home was foreclosed on December 27, 1995 for $810,000. I am not sure who ended up owning this property after Eazy-E's death but clearly they couldnt keep up with payments and simply let it go. If the home went to his wife, I would imagine that she could keep up with the payments especially since she had inherited Ruthless Records. But maybe something else was going on at that time that I am unaware of like lawsuits, other money sucking schemes, or possibly the "open door policy." Most recently this home sold on June 26, 2007 for $2,290,000. For all those curious to know more about Eazy-E and his soft side, check out the following article from Esobar300's Blog titled The Last Days of Eazy E (Rare Swindle Article). 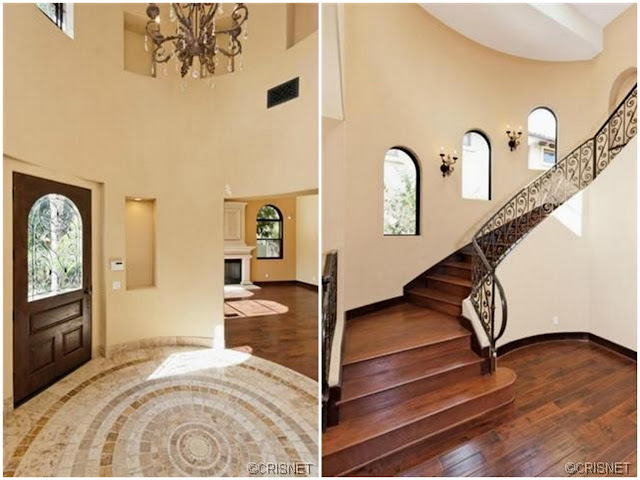 In addition to the Calabasas home, it appears through property records that Eazy-E and Tomica Woods Wright owned a modest 3 Bed/2 Baths on 1374 sqft Norwalk home that was purchased in 1988 for $175,000 and I believe was gifted to Eric's sister, Patricia. In the video below, Heller's wife, Gayle, mentions that Eazy-E preferred to stay at this home rather than in Calabasas which I am wondering if it has something to do with the "open door policy" since Eazy-E appears to have appreciated his peace and quiet. The odd thing about this house is that it is an hour's drive from the Calabasas home and faces a freeway. Not the typical crib for a multi-millionaire. So back to Tomica Woods Wright, I was able to discover through property records that she also owns a modest 3 Bed/2 Bath on 1626 sqft West Hills home that might be her current residence after being foreclosed. This home was purchased on August 3, 2000 for $215,000 (shown below). Speaking of NWA and gangsta rap. Most of the NWA rappers and rappers in general call the West Valley home. Ice Cube lives in Encino and also owns a condo in the same city that is next to the late Michael Jackson's former condo. Dr. Dre used to live in Chatsworth but now maintains homes in Woodland Hills, Calabasas (this home is located two blocks from Heller and Eazy which was purchased around the same time), and Hidden Hills (land). 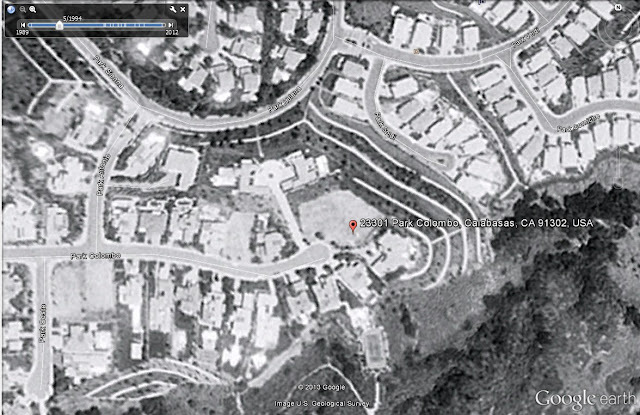 The late Tupac lived in Calabasas. 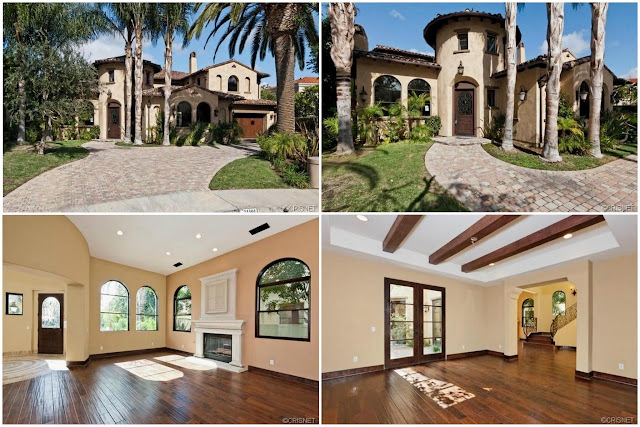 Suge Knight owned homes in Tarzana and Encino. Death Row Records was based out of Tarzana. Ruthless Records was based in Woodland Hills. Eazy-E and Ice Cube both attended Taft High School in Woodland Hills being bused in from Compton. I am pretty sure there are other gangsta rappers who lived here and continue to do so that I am missing. 14 comments to ''Celebrity Real Estate: The Late Eazy-E's Wife Gets Foreclosed in Calabasas and the Search For Eazy's Playhouse"
Hi there I was a private fiend of Mr,erick wright , I lived in the same neighborhood as Mr Wright in norwalk ca I first met mr Wright when I walked buy his home and one evening I went for a walk and walked by Mr Wright's home and out of no ware there was Mr Wright I said hello and he says what's up with a smile and i say aren't you ez e at first he says you got your muggers mixed up and laughed he says yaaaa that's me so I introduced my self and him himself and starting like if we new each other Mr Wright I felt some kind of vibe when talking to mr Wright it was like something was wrong and and wanted to talk I felt that there was saddens in Mr Wright then he say I gots to go now and he say can I have your number i said for what and he replied I don't no so we can talk dont trip it's all kool. As neighbours you no I said yes I'll give you my number I gave it to Mr Wright with excitment in my head i said wow so we said our introducings as neighbours and good buy to one another he went his way and me continued walking my normal rout I get home and tell my wife you would never no what happend she said what ez e the rapper asked me for my number and she said your crazy be quiet I'm serious I said she didn't believe me anyways as the days came and went I said he ain't going to call me I gave up hope and let go and one evening on my way from work get home my phone rang and it was Mr Wright and we talked for an hour there was a lot and can tell he needed to talk to some I listend to Mr Wright and after we talked befor before you new he starting more often he would call when I would be relaxing from a hard days work and we would talk for about an hour in a half everyday I felt as we new each other for years about 2 months down he called me and says can I swing buy your house I said what ya can swing buy your house it. Was on a Thursday night I said sure I said he ain't coming I couldn't believe this and he showed up and my wife says hews this it's ez e and she looked at him like she couldn't believe it so I asked him you want a drink or you want to have dinner with me and my wife ya that sounds good offered him a corona and says this tast like pise but he drank it we step out to my backyard and and he was in peace just started taking away about his life and ever sceanse sense then we became close and private friends till Mr Wright's passing we talked and talked I would listen to him and give Mr Wright the best advise I could to move forward in life and to continue and fulfill his career and dreams I never came forward to talk about this with anyone due to the reasons of poblisity it's a crazy world in it .i thought I would let this out to his love one hew was you he talked about you very highly and loved you to the fullest .thank you and good bless you and his family . Was Easy an only child ? Just interested in his past if anyone has information. I know his wife inherited his company but was there anyone else . brothers sisters girlfriends other children that he thought of in his last days? Thanks Anonymous. I noticed that too and helped confirm my the find of the infamous Playhouse. Yes Eazy E lived in moutian view estates. Dr. Dre lived in the same community as well, well past Eazy E's death. I had friends who lived in that neighborhood and we would trick or treat at both of their houses. Strange that they never reconciled but lived so close to each other. Rental properties are being marketed repeatedly, and should therefore be of adequate quality to continue long periods of exposure to the elements. Don’t let a cut-rate price turn your head for a short term solution to your long range needs. Property signage experts can provide you with expert advice on quality and durability of this major purchase. If you need a reliable home rental services, then look no further than Derby Home Rentals! Check out our trusted website! I feel like he was trapped between 2 world's. It's such a waste that 3 great rappers got so sucked up that they lost sight. siblings girlfriends other children that he thought of in his last days? Enterprise support team members remain available 24×7 your can purchase facility of best services. We suggest one to join our services just giving ring at toll-free QuickBooks Customer Service Number so that you can fix registration, installation, import expert and a lot of other related issues in the enterprise version.